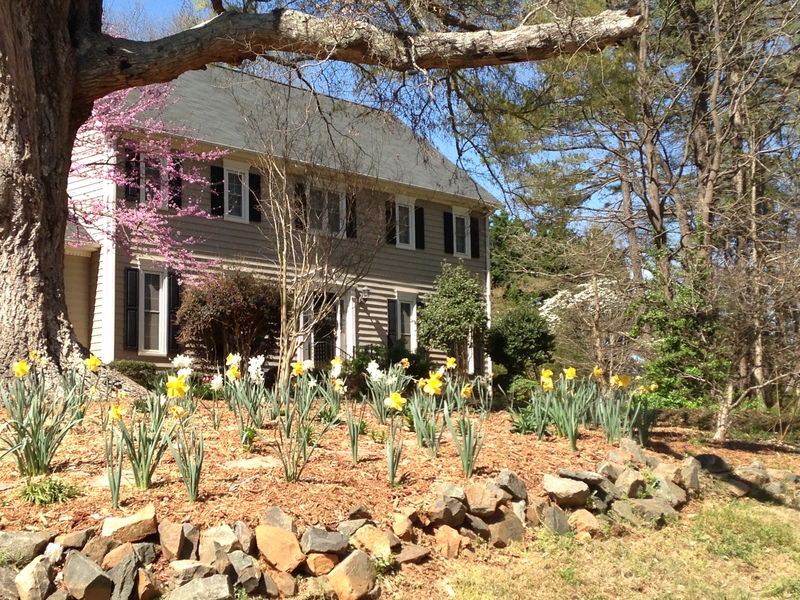 As the daffodils begin to fade, my lilies are on the way up. I have a combination of lily plants. There is an assorted Asiatic blend that I planted in the fall. I also have a second group of Asiatic lilies that I moved from my garden in Virginia and transplanted in North Carolina. The original location I chose for planting did not provide enough sun, so I dug them up again and moved the bulbs to what is now my cutting garden. I did this during the growing season last year, so they didn’t bloom. I am relieved to see them coming up healthy and strong now! 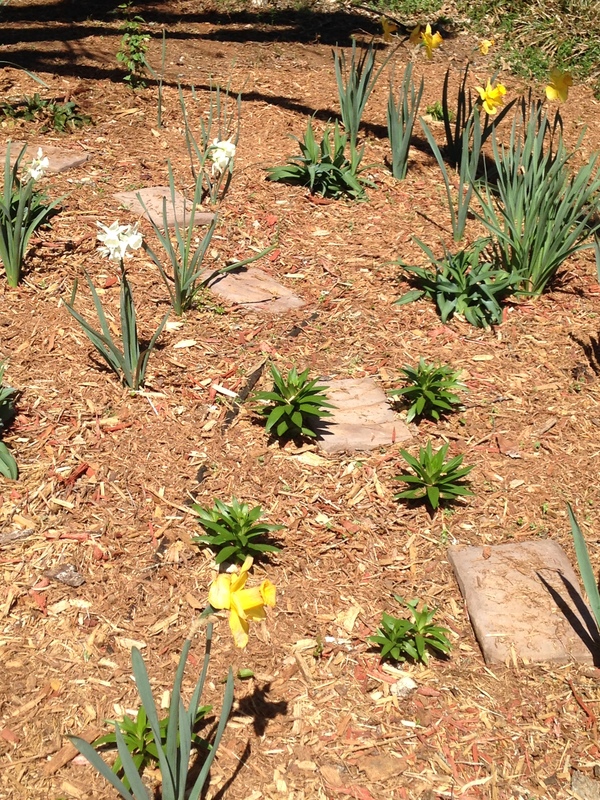 In addition to the Asiatic lilies, there are several day lily plants that were part of the landscaping when we purchased the home and fit beautifully into my master plan for the garden. I added several purple cone flower plants last year that are starting to show new growth as well. 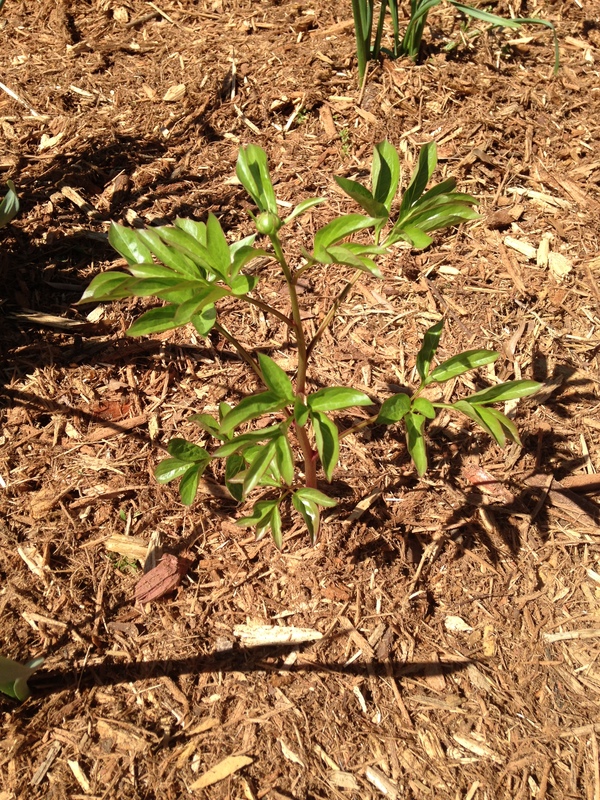 My peony tubers are also coming up. This one even has a small bud! That said, I’m not expecting many blooms. Since I planted tubers and not mature plants, it will likely take three years for the peonies to be established enough to really begin producing. But my opinion is that in the long run they will be healthier, more beautiful plants. Over the weekend I added another small expansion to the garden by planting five white phlox plants behind the 100-year-old (at least) tree that anchors the front landscaping. 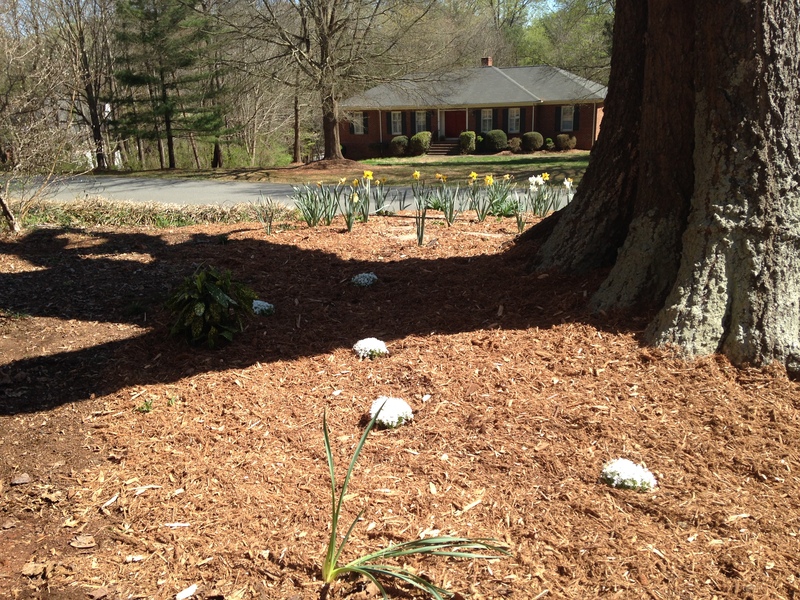 I also put down 10 more bags of mulch. My plan is to conquer small sections at a time, with the eventual goal of creating a sitting area as well. I’m taking baby steps in hopes that next year the space will be close to what I envision.